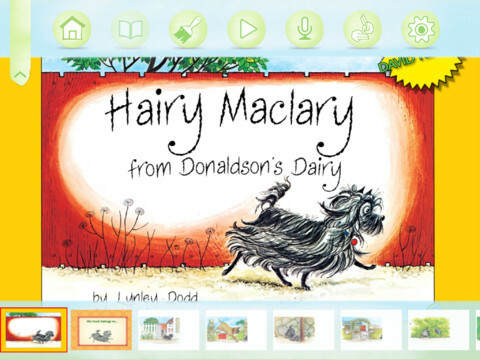 The immensely popular Hairy Maclary from Donaldson’s Dairy is now available as an interactive QBook with an AUSLAN (Australian) and ASL (American) Sign Language option in addition to the wonderful narration by David Tennant (Doctor Who). 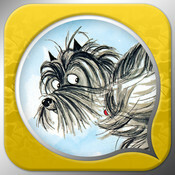 Hairy Maclary from Donaldson’s Dairy combines simple narrative storytelling with virtuoso use of rhythm and rhyme, and Dodd’s gentle but energetic watercolour illustrations depict characters that are as well loved as they are mischievous. • Tap the language button to view the new “Australian sign language” feature.